To provide the best possible veterinary care to the animals we see and to always treat our clients with the utmost respect. 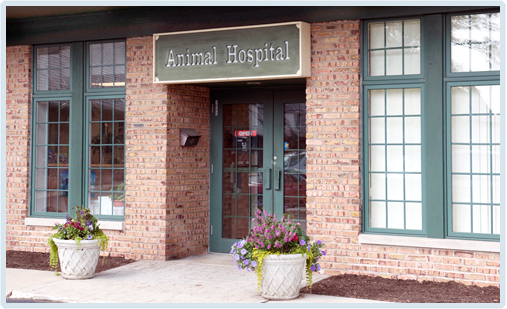 We are committed to excellence in veterinary medicine. We pride ourselves on practicing high quality medicine while incorporating client involvement and education for the benefit of our patients. We believe in continuing education for our doctors and staff and foster collaborative relationships with the surrounding specialists to enhance the level of care we can provide. Our goal is to make every pet comfortable during their visit. We treat them and the people who love them with the utmost dignity and compassion as if they were members of our own families. 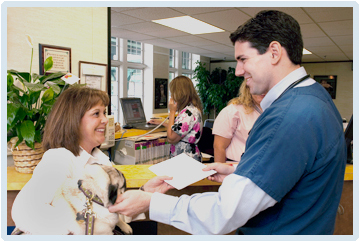 Great veterinary care starts with the relationship formed between a pet owner and their veterinary professional team. We strongly believe in relationships based on mutual trust, education and understanding. We believe in open and honest communication with all of our clients. We are dedicated to the community we serve and strive to exceed our clients’ expectations. We treat each client with respect, kindness and courtesy, and are committed to continuing education for the benefit of our clients and their beloved pets. We believe in working together for the benefit of our clients and patients. We have built and maintain long-standing close relationships with the surrounding local emergency and specialty practices and their doctors. This allows us to work and collaborate directly with them and provides for timely and detailed levels of communication for the benefit of you and your pet.